View DevOps Theory vs. 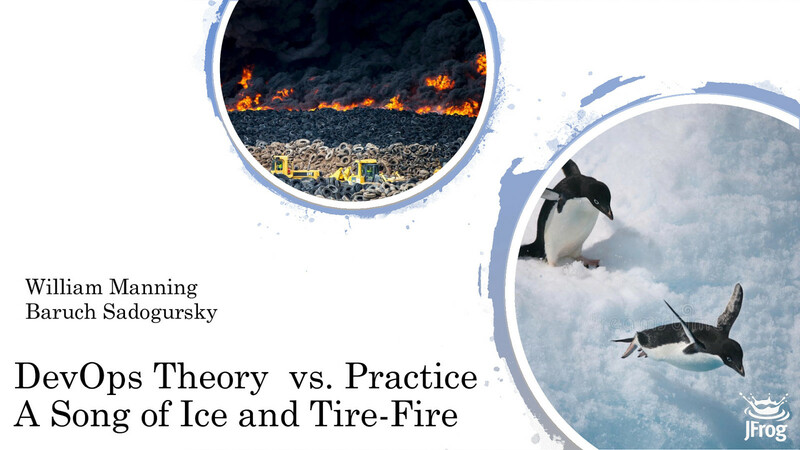 Practice: A Song of Ice and TireFire on Notist. In many DevOps talks, you see a speaker from a renowned tech company stand up and describe a perfect utopia of an environment. You look at the perfect environment and dedicated hordes of senior engineers they describe, and you despair of ever getting to that point. Your environment looks nothing like that. Surprise– their environment doesn’t really look like that either! In this talk, a speaker from an unnamed tech unicorn describes their amazing environment– and then what they just said gets translated from “thought leader” into plain English for you by an official translator. Stop feeling sad– everything is secretly terrible!